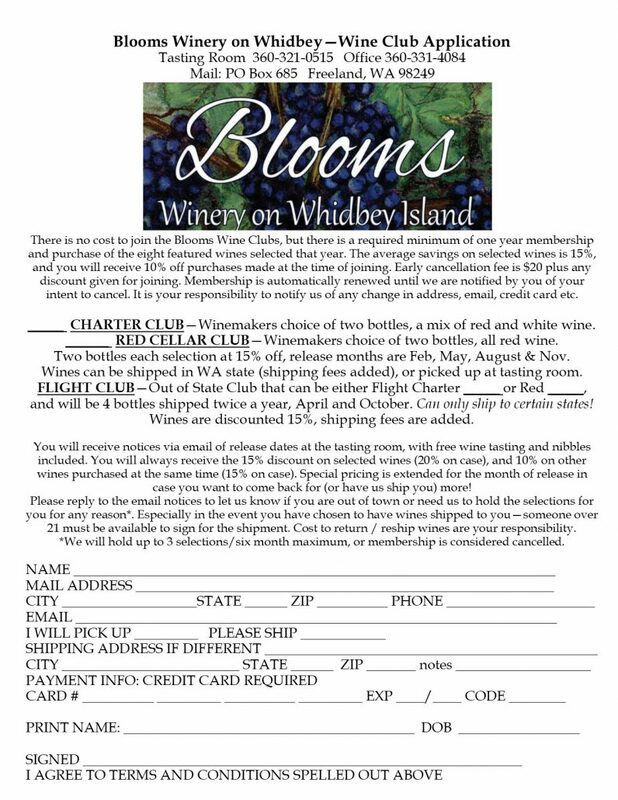 We invite you to join Blooms Wine Club! Enjoy a selection of 8 bottles of Blooms fabulous wines each year at a special 15% discounted rate for our members, plus 10% on other wines you purchase at the time of your pick-up or shipment. You often get new releases before they are available to the general public and other specials. We can ship anywhere in Washington State, and ship to several other states as well. Wines will be shipped either two or four times per year, depending on where we ship to, and you will get discounted shipping rates due to our agreement with FedEx.